Anthracite Grey Powder Coated Aluminum Frame - Rust free. 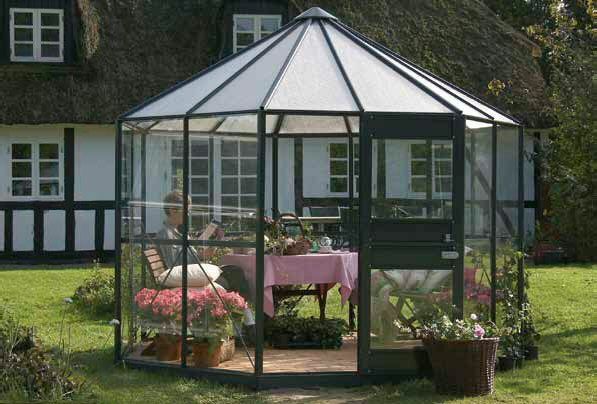 This Pleiades has a split stable door with a lock that opens outwards, a tough polycarbonate roof for safety, insulation and UV protection and nice high eaves for growing taller vine plants like cucumbers and tomatoes. 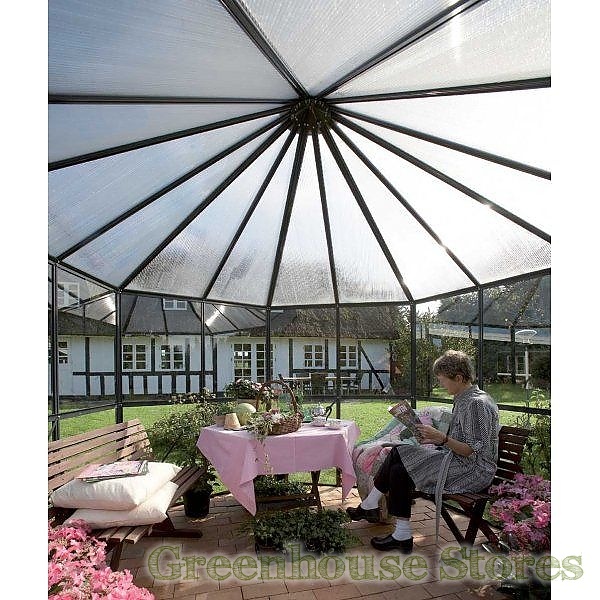 The grey powder coated finish helps the greenhouse blend in with the surroundings in your garden while protecting the aluminium frame from the elements.